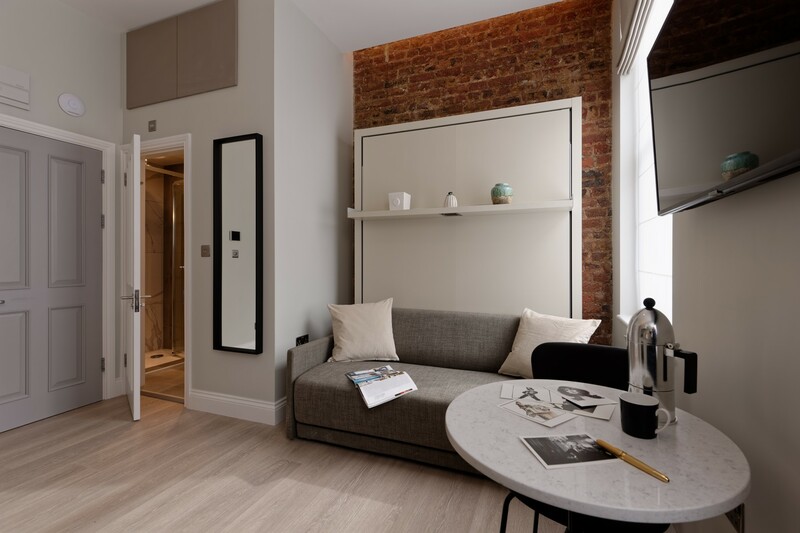 Apartment EG37-21 - Notting Hill Apartments Ltd. 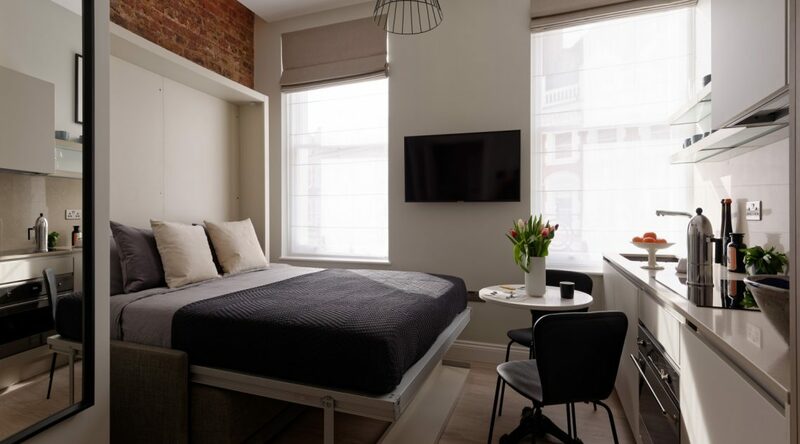 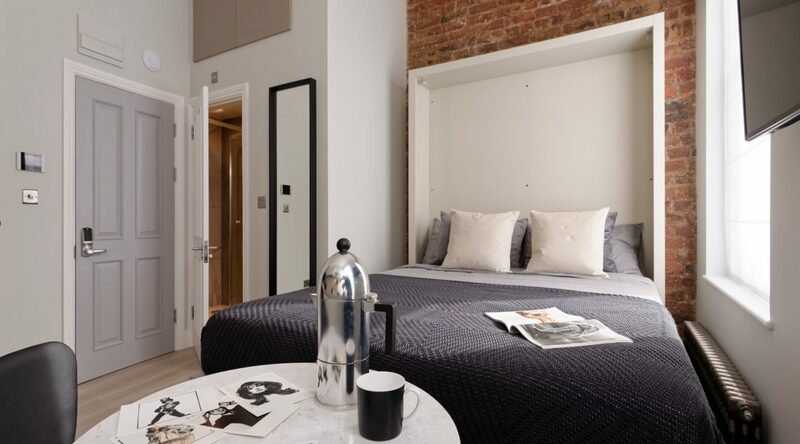 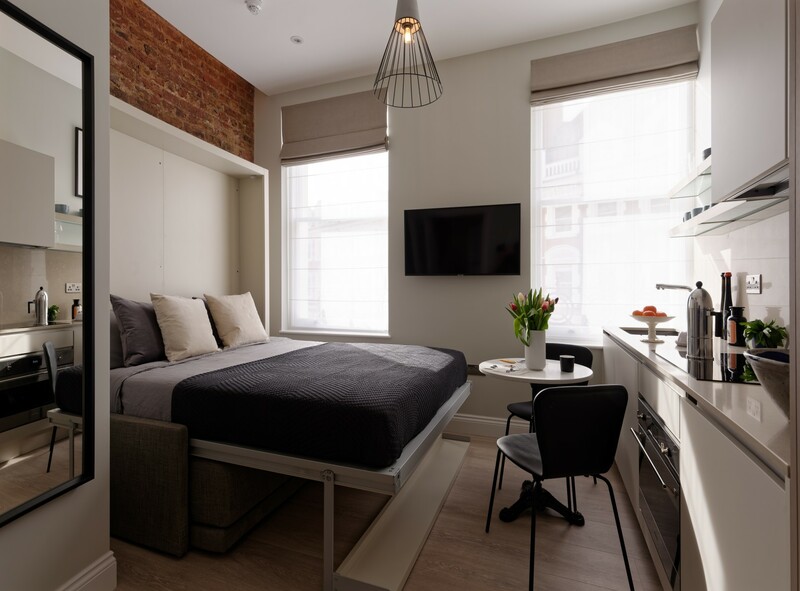 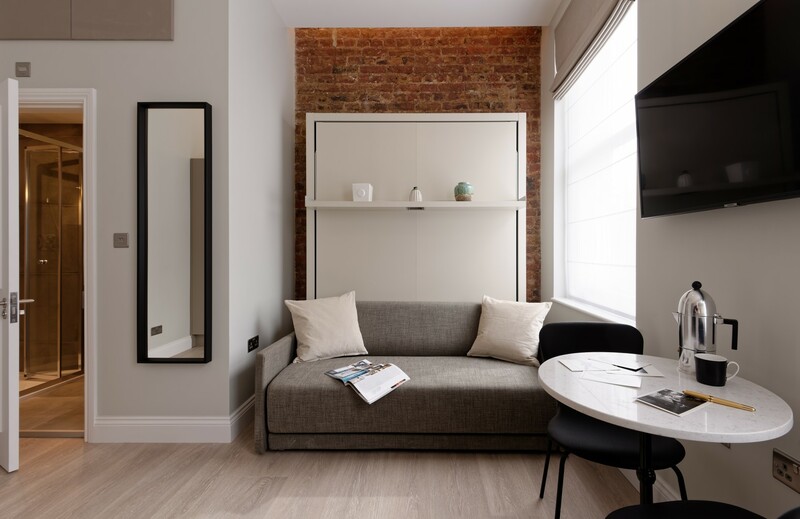 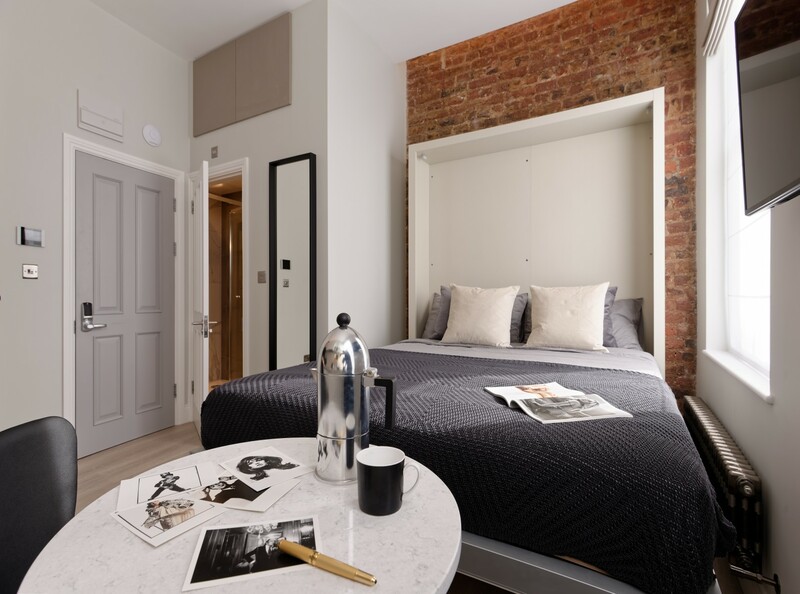 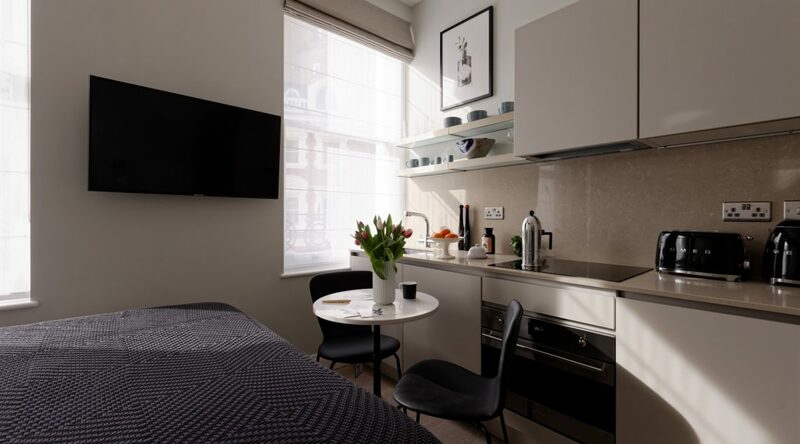 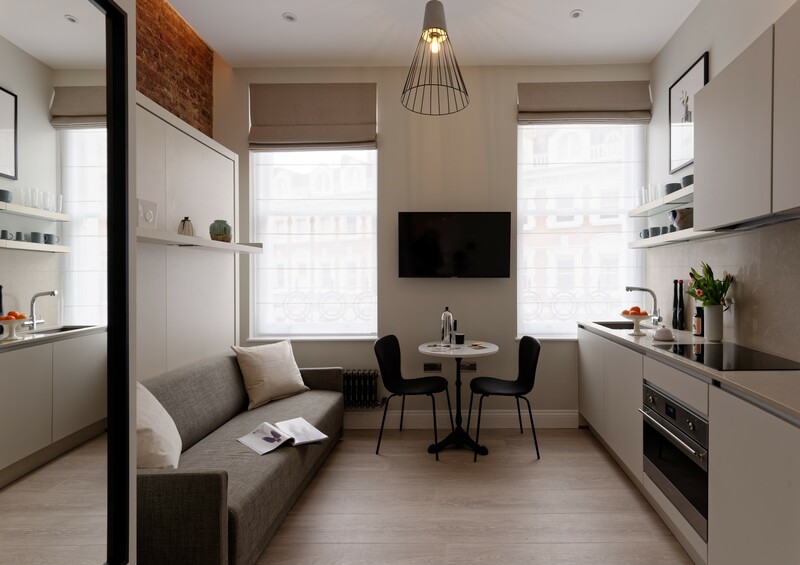 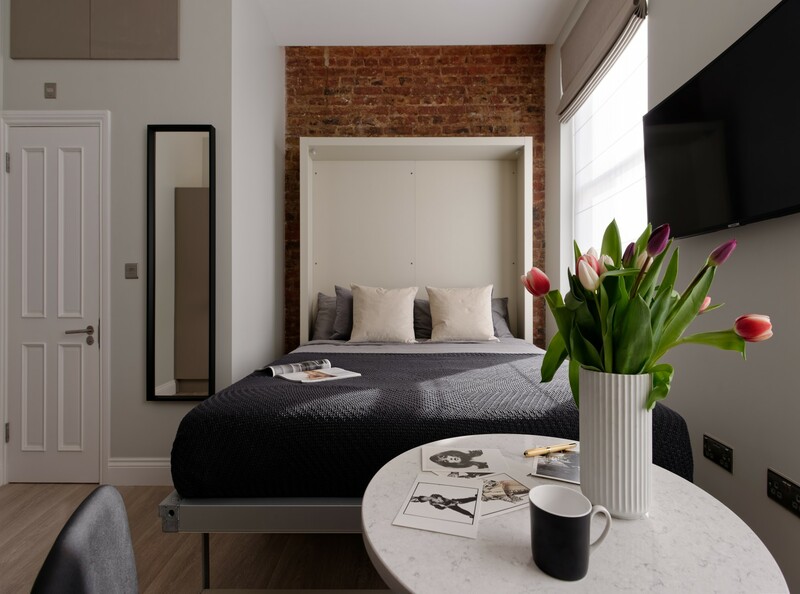 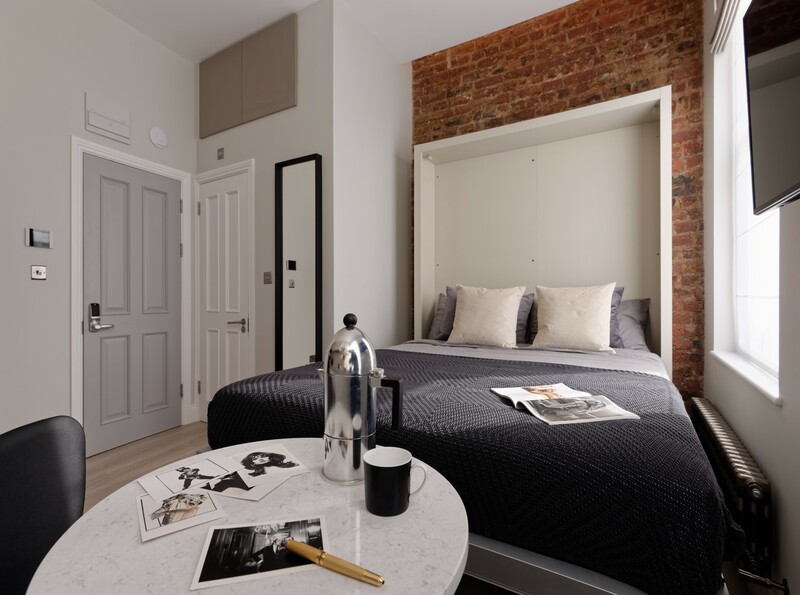 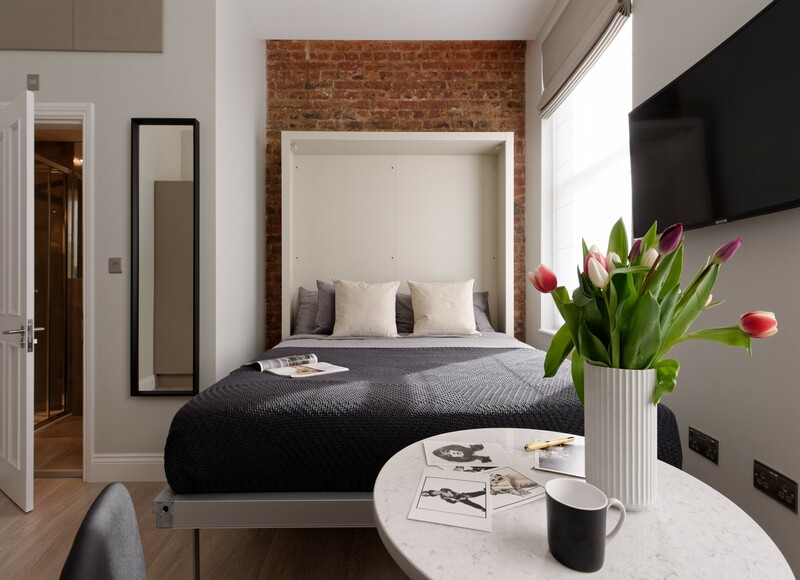 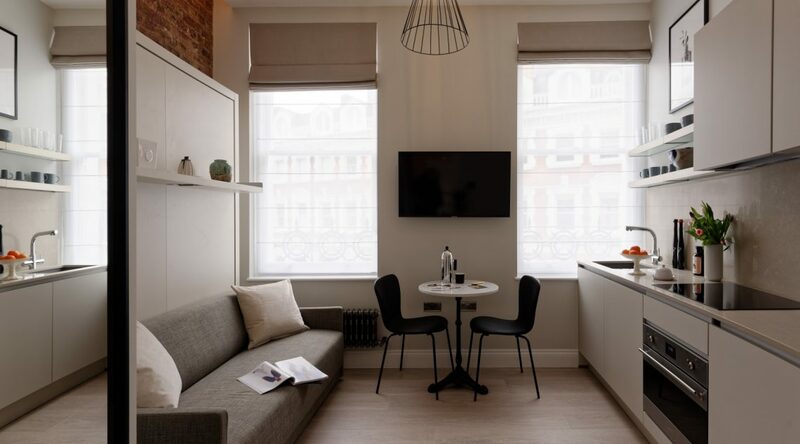 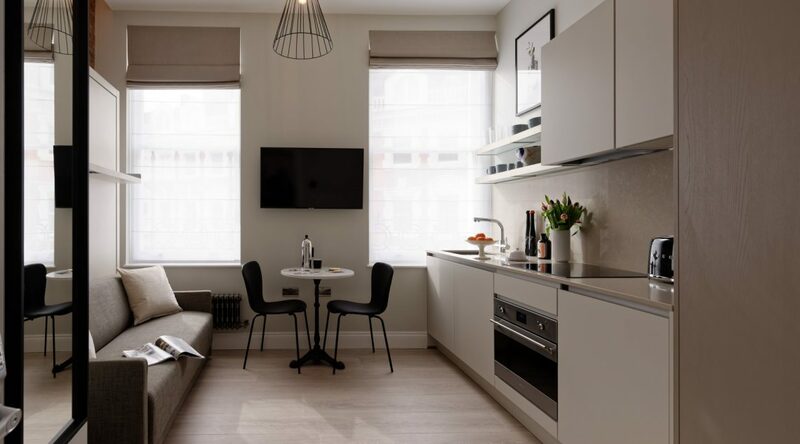 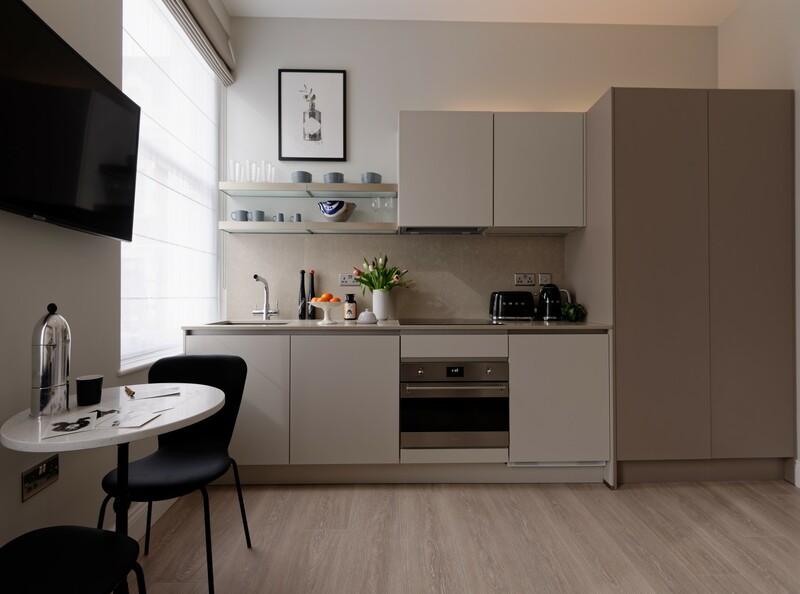 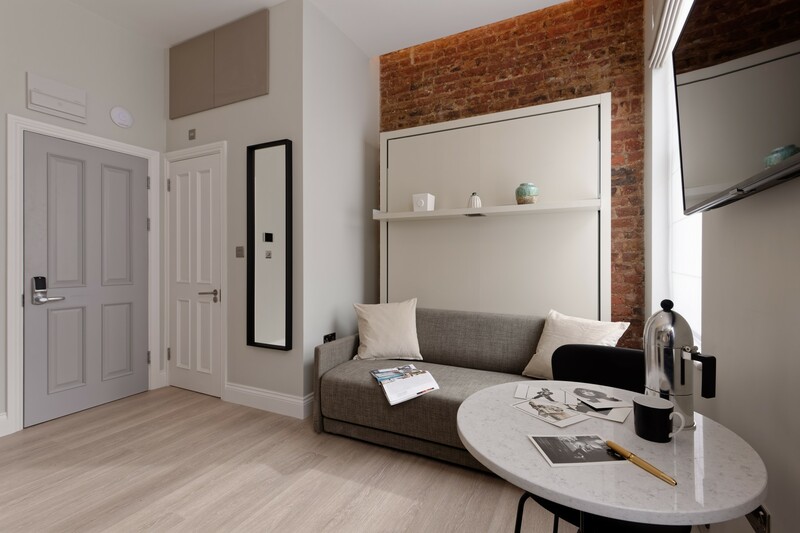 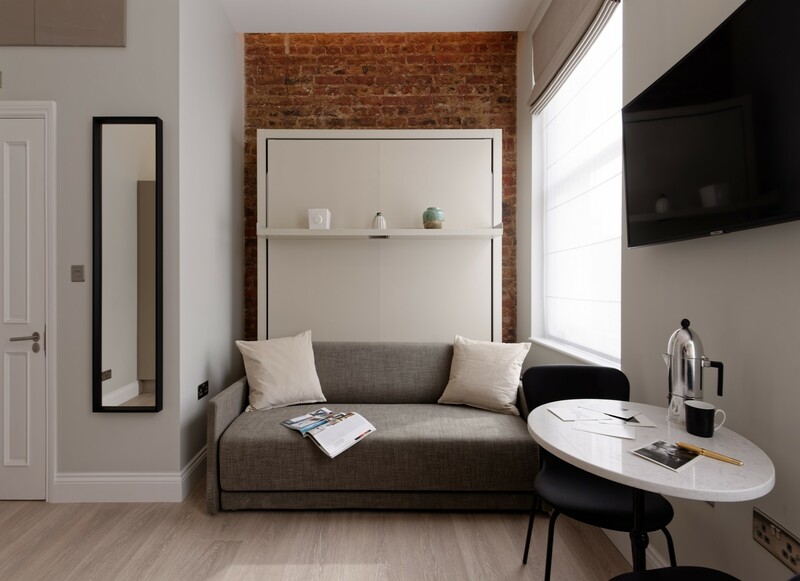 This stylish studio apartment is in an impressive Victorian building in this upmarket and vibrant area yet benefits from being in a quiet and pretty street, offering a peaceful escape in a sought after London neighbourhood. 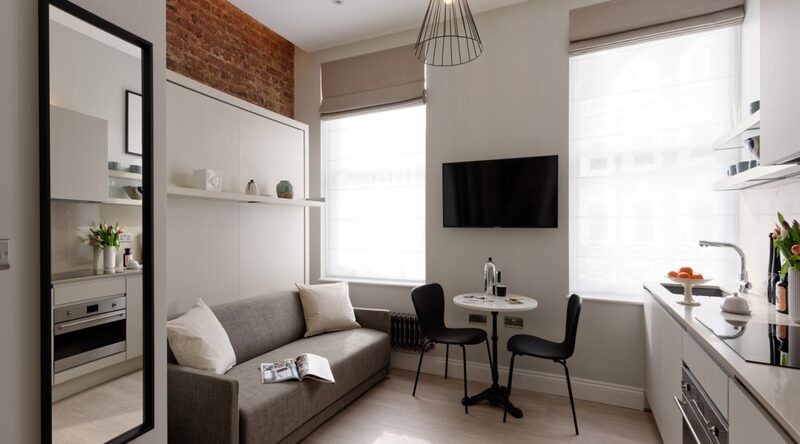 The apartment has been recently refurbished by an interior designer and looks contemporary and fresh with excellent natural light from the enormous window and a great sense of space with it’s tall Victorian ceilings. 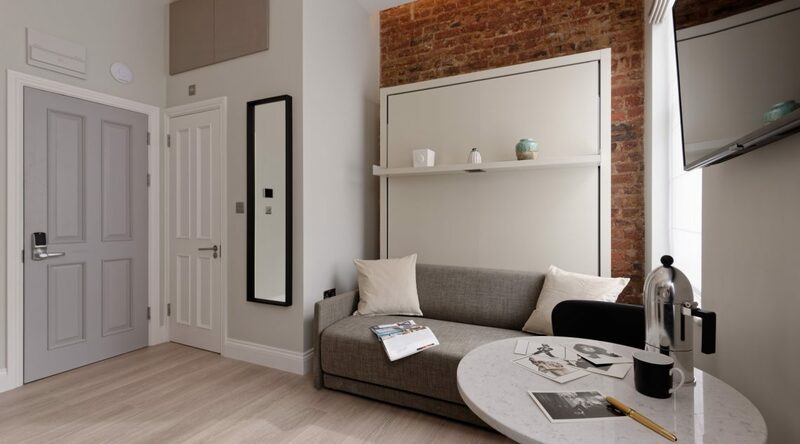 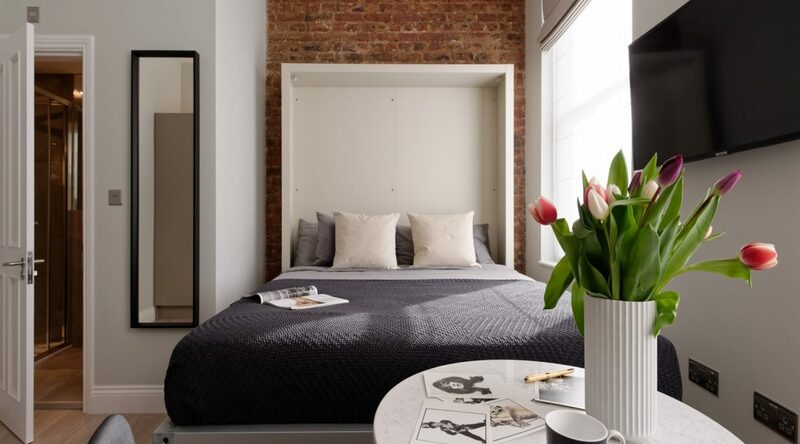 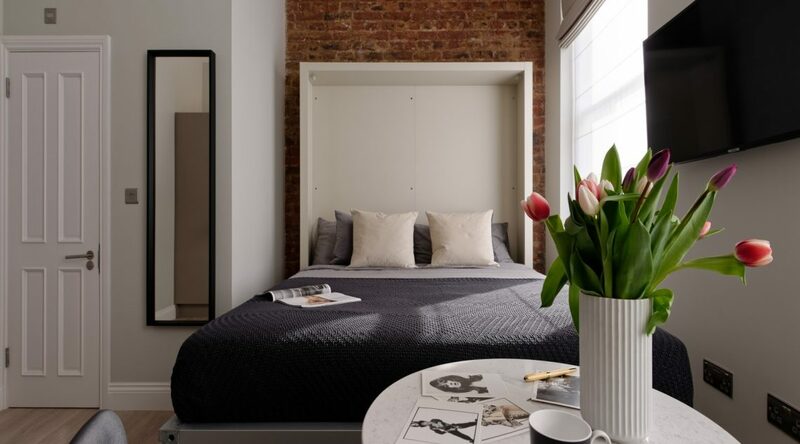 Exposed brickwork and great quality fixtures and furnishings make this a modern, warm and inviting space. 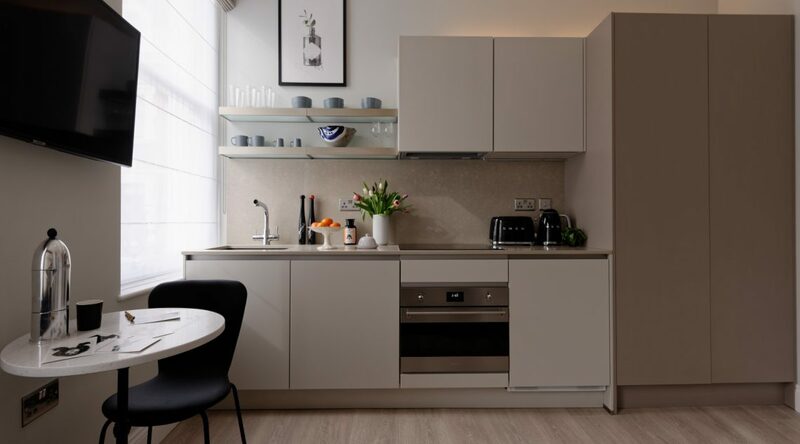 The newly installed, contemporary kitchen offers everything you need to from pots and pans to oven, hob and fridge freeze. 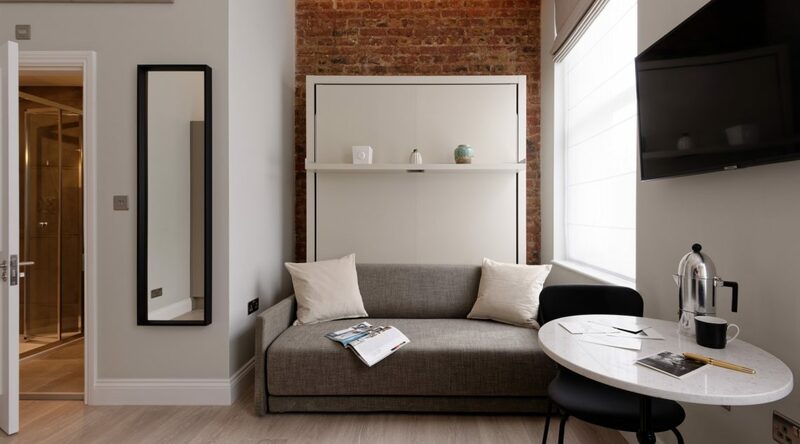 The innovative, Italian made, Clei sofa bed system means easy conversion from comfortable sofa to bed. 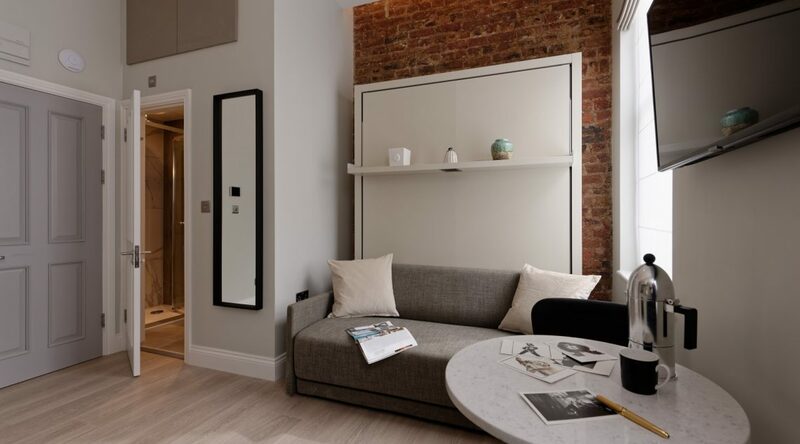 Watch the large smart TV or catch up on some reading from the sofa or bed. 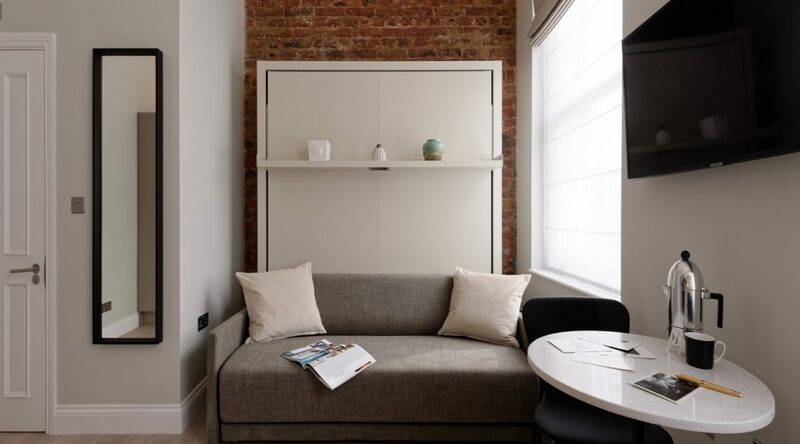 There is a small and stylish table for meals or maybe catching up on some work on your laptop. 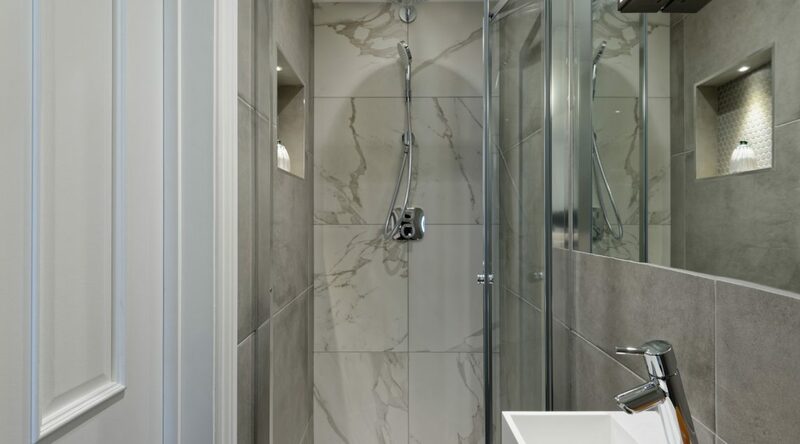 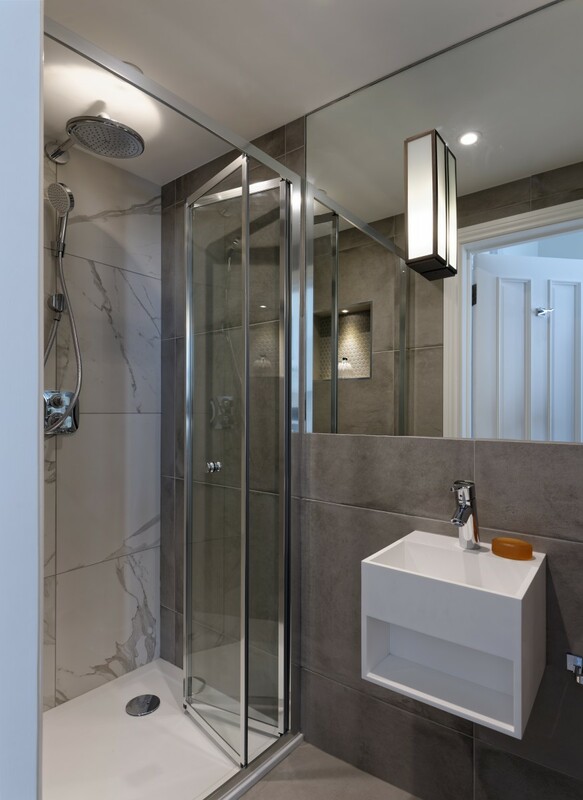 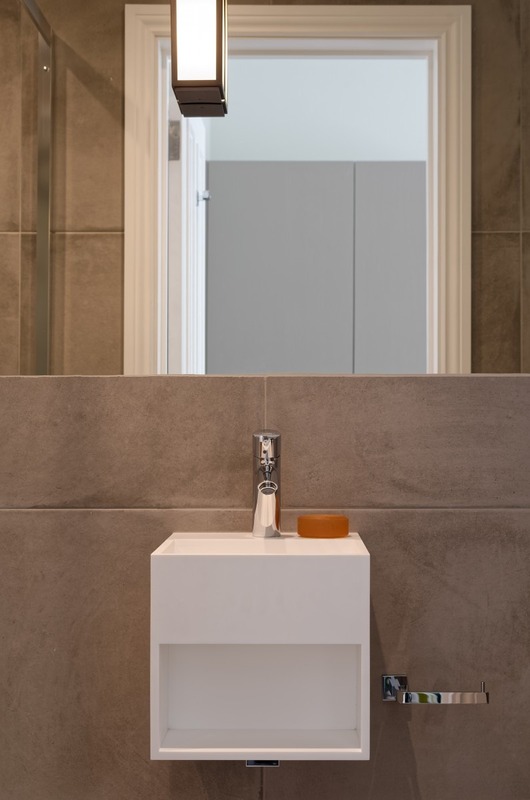 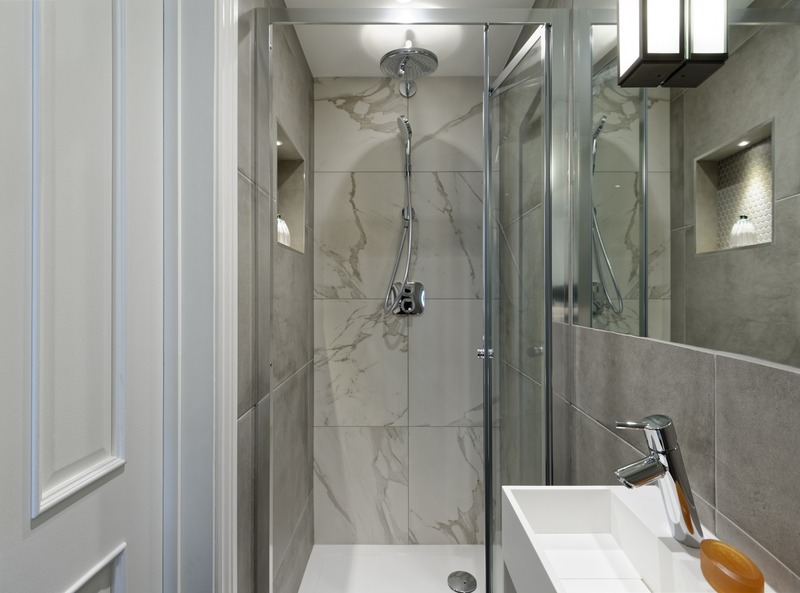 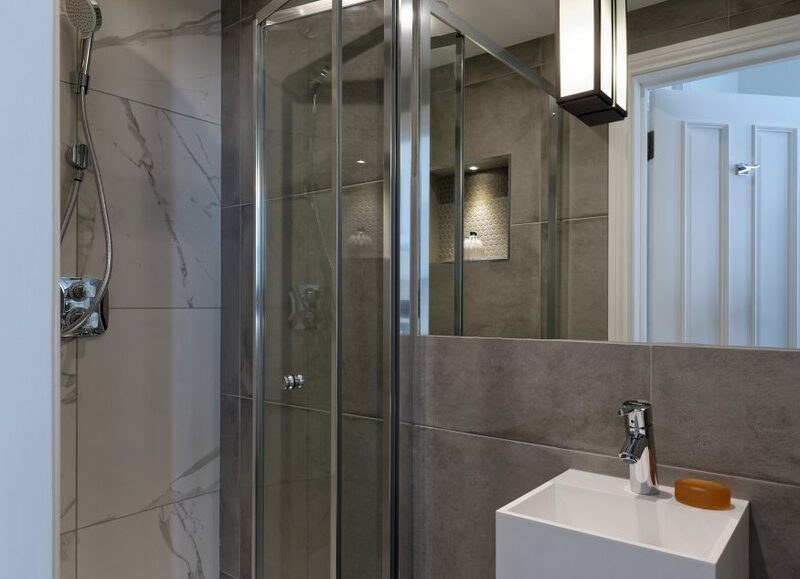 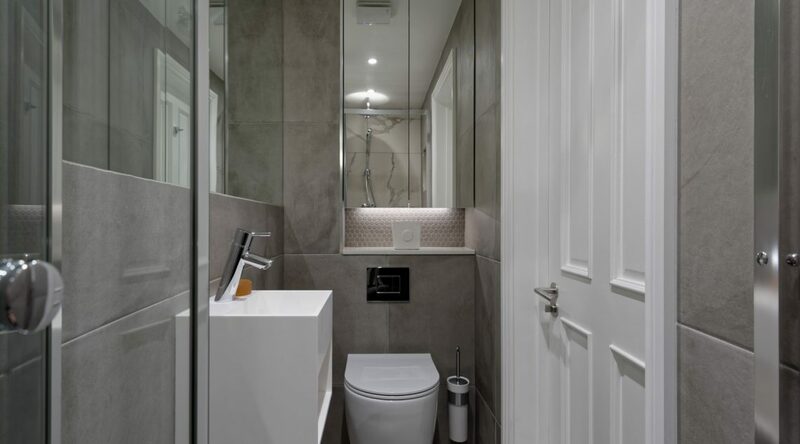 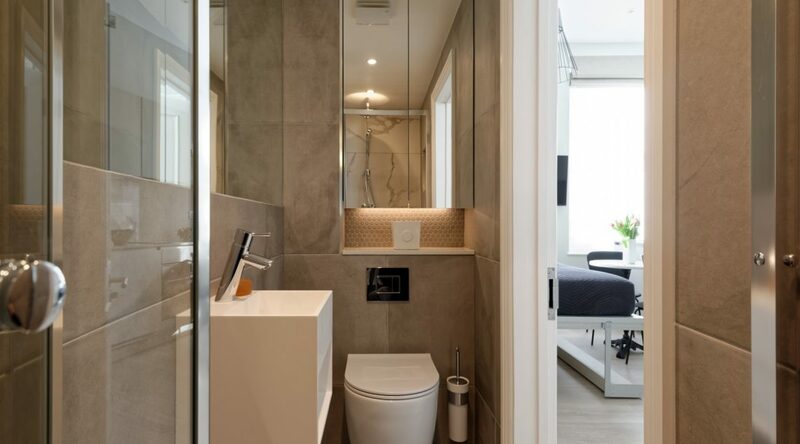 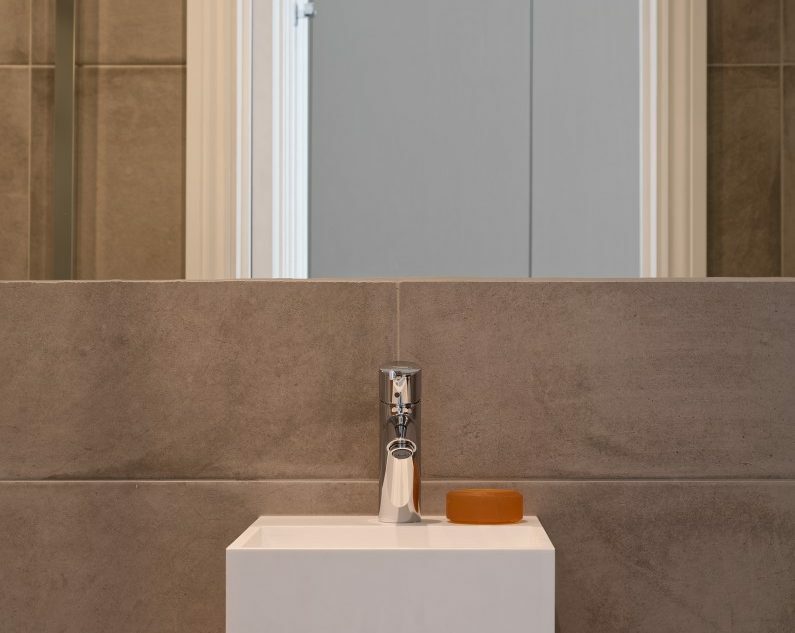 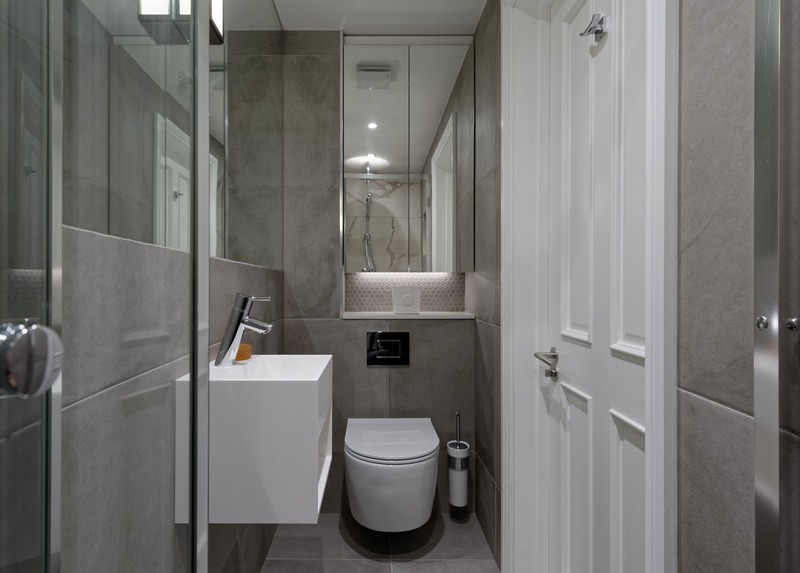 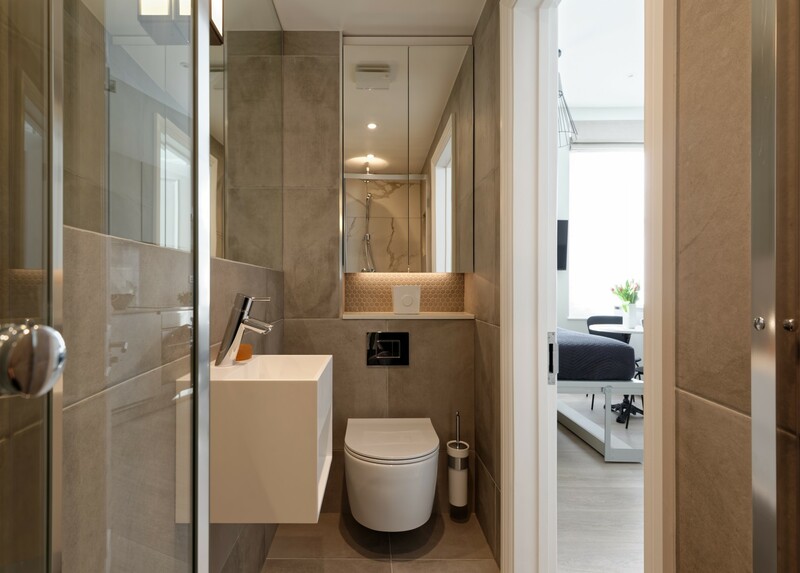 The en-suite bathroom is fully tiled and equipped with a powerful walk in shower with separate hand shower while underfloor heating ensures winter comfort. 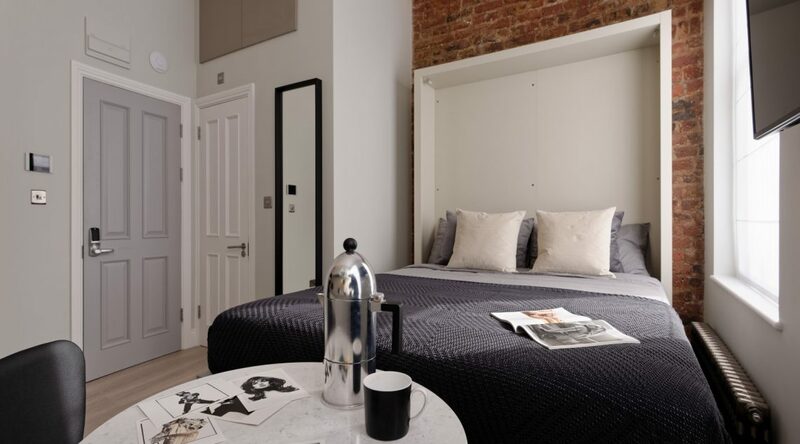 Set in the Royal Borough of Kensington and Chelsea, the flat is in an affluent neighbourhood. 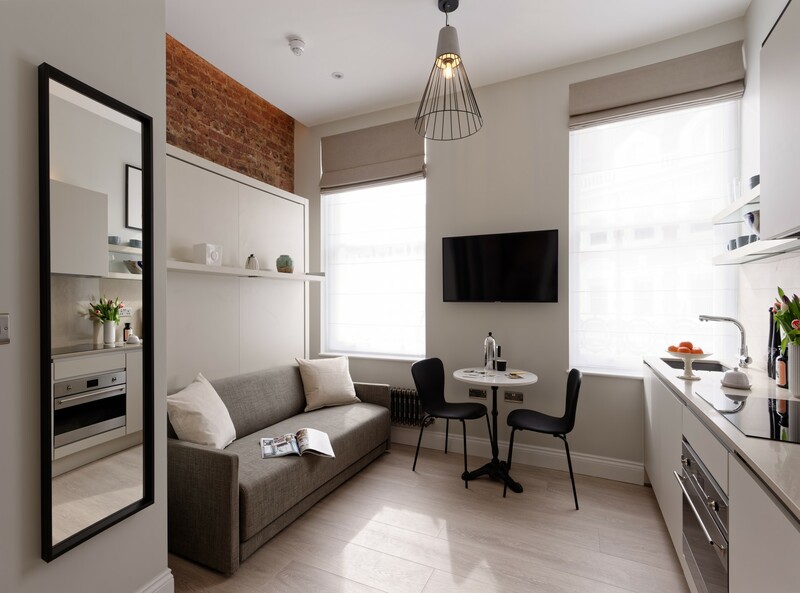 There are endless possibilities for local shopping, restaurant and nightlife which is why this area is very much a destination for Londoners and tourists. 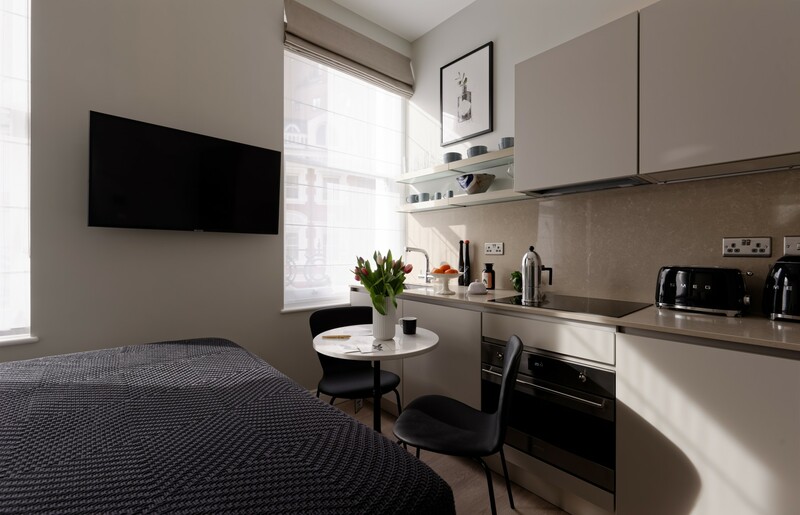 Harrods, Harvey Nichols and the key London Museums are all within walking distance, as is Hyde Park if you want to escape the city for a while or visit Kensington Palace. 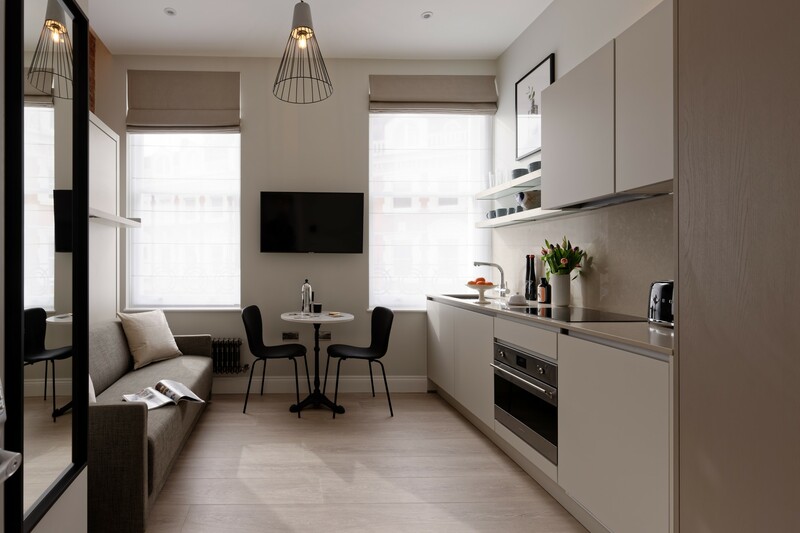 There are excellent transport links, with the Tube station only 400m away, giving you fast access to the whole of London in minutes.